A Note from Tim: Forsyth County Schools in Georgia is beginning its sixth year in implementing Bring Your Own Technology (BYOT). 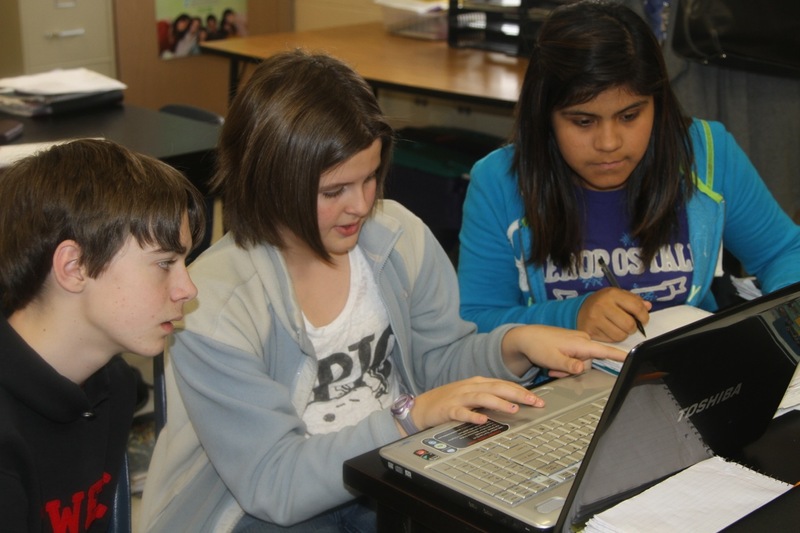 The first year was spent on developing the infrastructure, and the last four years have focused on piloting the initiative, developing personal and professional capacity, and eventually spreading the practice of encouraging students to learn with their personal technology tools throughout the district. In this post, fourth grade teacher, Brooke Hagler, shares her experiences of facilitating BYOT within the framework of the Thinkers Keys. When I began the journey of implementing Bring Your Own Technology (BYOT) in my classroom, I wanted to make sure it had a positive impact on student learning, rather than just for presenting information or playing games. 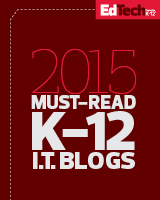 Don’t get me wrong these aspects of BYOT do have their time and place in a classroom. I just did not want them to be the only ways my students used their technology. With the potential of technology for engaging students and preparing them for the future, I wanted to make my students truly think beyond what our culture tells them is possible. This capacity creates the future adults who test, question, and invent for the next generations to come. In order to create deep thinkers in my classroom, I use a resource called the Thinkers Keys developed by Tony Ryan. The keys are twenty strategies that can be used to help students think critically and creatively. As you learn how to implement each key it becomes very clear that they are an easy resource to use in all areas of learning. You can find more about the Thinkers Keys and Tony Ryan at his website. I began to integrate the Thinkers Keys by introducing the students to one key at a time as it fit into the curriculum. I modeled the key with students by using Socrative or join.me. The students participated and collaborated using BYOT, school technology resources, whiteboards, or paper. By using Socrative and join.me, I was able to model a key for the class as a whole group or in a small group and receive instant feedback about who understood the content we were studying at a deeper level. Another reason I used these websites is because the person answering could be anonymous to the other viewers, so the students who would never answer before felt free to take risks and give answers. Once students became familiar with the key I incorporated it as one of their centers with any content. They could choose how they to turn something in. They often chose to use technology to complete the assignment and either printed out their work or emailed it to me. 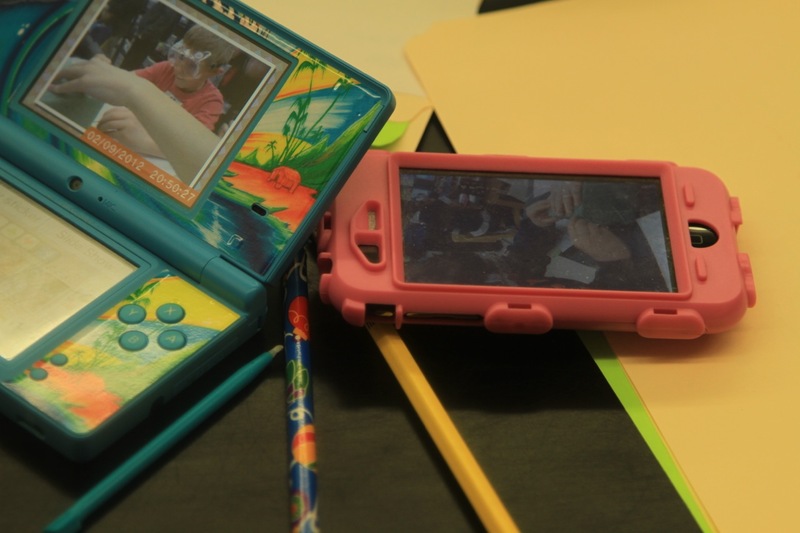 Not all of the keys involve writing down answers; however, sometimes students had to build models and then used their devices to take pictures to explain what they built. Other keys encouraged students to conduct research, and students would use kid friendly websites on their technology tools to find more information. After conducting research, students created presentations. I did not limit the students’ choices about how they chose to show what they had learned, and they often chose to use ActivInspire, PowerPoint, Prezi, or Wixie. My rule for presentations was as long as students knew how to use the technology and could meet all requirements of the rubric for the assignment, then they were encouraged to create with whatever medium they liked. Here are some Thinkers Keys that I used regularly in my classroom. I used the Consequence Key during our class meeting time and with our ecosystem unit. During our class meeting time, we discussed possible scenarios and the students had to respond with their own consequences. For example, I asked them how bullying affects everyone when a student picks on someone on the bus. They continued giving consequences until they saw that not just the bully and bullied student are the only ones affected. Then, I carried this same thinking into our ecosystem unit. After students learned about different ecosystems, they used BYOT and school technology resources to go to Discovery Education for science explorations and virtual experiments. They were asked to explore what consequences population growth and decline have on a desert environment. Once they viewed the explorations, they presented their group’s findings. Then the group completed a virtual lab and predicted what the consequences for a fish population would be by placing a hiking trail, parking lot, or playground around a pond. The students wrote a lab report at the end of their experiment that explained if their findings agreed or disagreed with their prediction. The simple fact that students understood that consequences can have a ripple effect could them academically and also socially. Another key that I implemented was the Question Key. It caused students to think backwards through a process, which I found out for my fourth grade students was not easy. I used this key in all content areas, but I liked using it the most in math. It let me know quickly if students truly understood a concept or if they just went through the motions of completing the math process. I gave the students an answer like seven thousand, three hundred forty-eight and asked them to write five problems that reached this answer. To make it more challenging, I set guidelines. They had to have at least one addition, subtraction, multiplication, and division problem. Three of the problems had to be written as a word problem. And finally one problem had to have multiple steps to get to that answer. In the beginning, this assignment blew my students away, but with repeated modeling and practice they were able to write and solve word problems more easily by the end of the year. Not only could they solve math problems with more ease, they were using their ability to think backwards in all academic areas. To think backwards through a process is a hard but valuable skill that we, as adults, take for granted, but it can be taught to students and then they will have that skill for life. The keys can be taught in isolation, like above. However, they are ultimately designed to get students to work with them in connected sequences. I do not recommend beginning with sequencing the keys until you as a teacher have a full understanding of what each key is designed to do. When students use the keys in sequence, they are designed to help them solve problems, analyze, etc. I have been working with the Thinkers Keys for two years now, and this past year was the first year that I used the keys in a sequence. Here is the first rubric I created and used this year with sequencing the keys. It was a very powerful learning experience for my students and me, and I still have much to learn and experiment with this step myself. The Thinkers Keys allow you as a teacher to tweak them and make them useful for your classroom. Just stay true to what they ask the students to do so that they keep their power. I could go on forever about how powerful the keys in combination with technology are as learning tools. They don’t just help the students learn the content in the classroom. They help them prepare for life in our competitive society. They prepare them to be our future leaders and thinkers of the digital age. This entry was posted on July 18, 2013, 6:30 am and is filed under BYOT Purposes, BYOT Strategies. You can follow any responses to this entry through RSS 2.0. You can leave a response, or trackback from your own site.